It's March and that means the birthstone in turn is the lovely aquamarine. 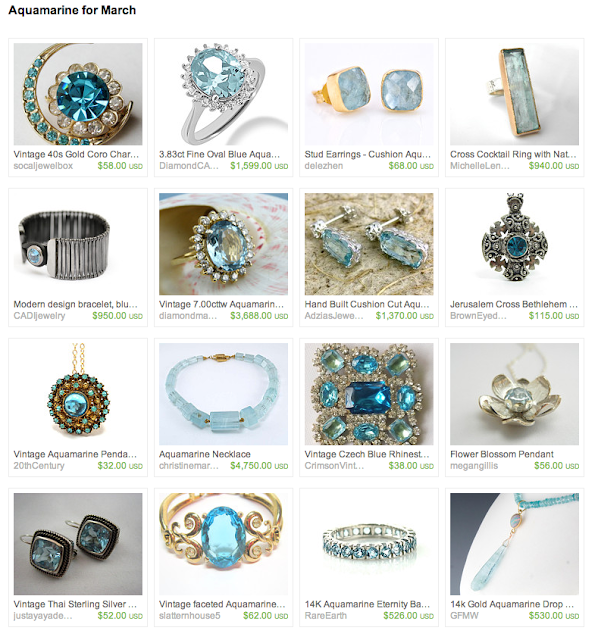 Here's Aquamarine for March, an Etsy Treasury I recently curated. Happy Birthday Aquamarine!